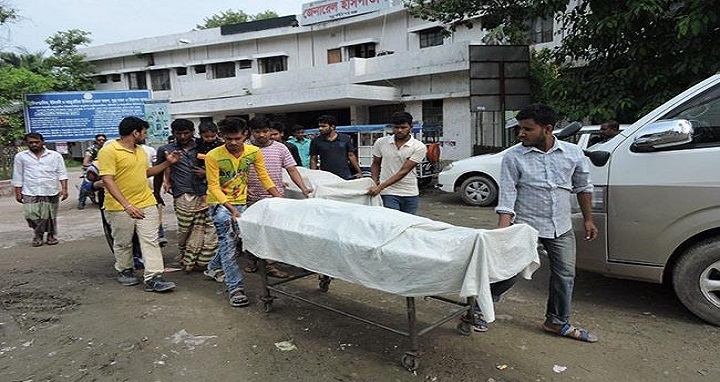 Dhaka, 14 May, Abnews: Two people were killed as a chunk of cement collapsed on them at a cement factory at Paschim Muktarpur in Munshiganj on Monday morning. The deceased were identified as Mohammad Shahin (30), of Mandatola village in Matlab upazila of Chandpur district and Mohammad Rashidul (20). Alamgir Hossain, officer-in-charge of Munshiganj Sadar Police station, a chunk of cement fell on a group of workers at ‘Crown Cement Factory around 7:00am when they entered a room for cleaning it, leaving Shahin and Rashidul dead on the and another worker Hafizur critically injured. The injured was admitted to Munshiganj General Hospital.